Home > Watches 101 > Which Luxury Watch Brands Retain Their Value? Many people who are new to the watch world question which luxury watch brands retain their value. Either these individuals are debating which luxury watch should be their first or their considering beginning a watch collection. First and foremost, you should not purchase a watch, intending to turn around and sell it for a profit. Watches are similar to cars in that as soon as you drive it off the lot, the value instantly depreciates. Granted, this is not true for every watch; there are some watches that are anomalies. However, finding an anomaly should not be your end goal; you should go into the buying process knowing that a watch is not a monetary investment. Read on to see which luxury watches hold their value best. That being said, there are a few watch brands that hold their value much better than others. Simply put, Rolex and Patek Philippe are your best bet. These brands are exceptionally popular in the watch community. Rolex especially is a household name, and nearly everyone knows someone that owns a Rolex or desperately wants a Rolex. 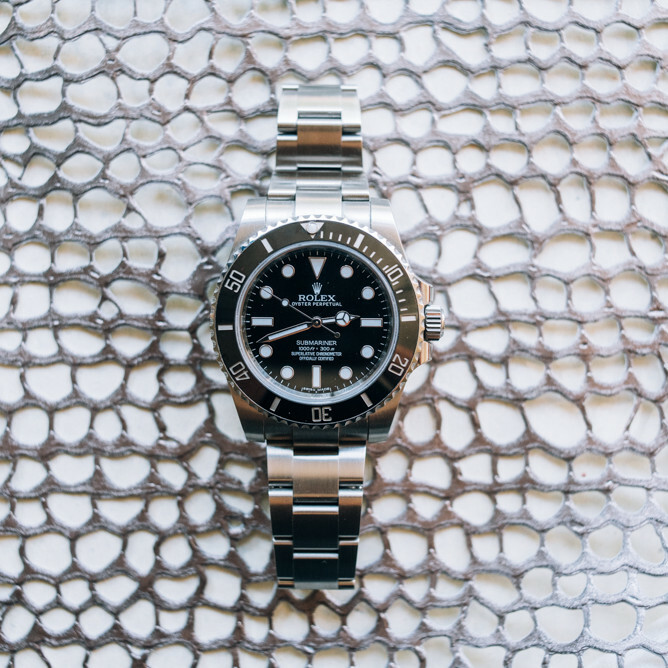 In particular, a stainless-steel Rolex sports watch like the Submariner, GMT, or Explorer will do rather well in resale. While Rolex is popular with both watch enthusiasts and non-watch enthusiast, Patek Philippe watches are generally coveted by those involved in the watch community. With their higher price tags, not everyone will be able to afford a Patek Philippe. However this also makes Patek Philippe watches more exclusive, thereby more enticing for watch collectors. In particular, the Patek Philippe Calatrava or the Nautilus do quite well in resale. Other brands that retain value include Jaeger-LeCoultre, Panerai, A. Lange & Sohne, and Vacheron Constantin. Omega, Breitling, TAG Heuer, Hublot, Piaget, and Cartier depreciate much faster. However, most often it’s the style and material of the watch that will determine resale value. A conservative watch without much bling or color is much easier to sell. In general, round watches are more sought after than other-shaped watches. Last but certainly not least, watches that are made of stainless steel do better than watches with precious minerals. Please note that brand name and model are not the only factors that go into the value of your watch. The age and condition of the watch are vitally important factors. If a watch looks worn down, scratched, or dented, then you’ll struggle to sell your watch. If you’ve kept the box and papers and if your watch is still under manufacture warranty, then you’ll definitely earn some bonus points. All-in-all, you should purchase a watch because you want it not because you intend to make a profit off of it. The value of a watch generally does not appreciate, and the rate of depreciation is dependent on demand, brand, and exclusivity. If you’re interested in purchasing a watch and know you’ll sell in a few years, we suggest browsing the online watch market. This will give you a good idea of what your watch would go for in good condition.